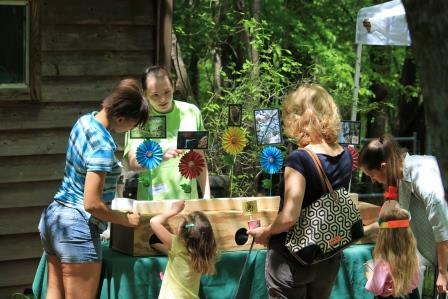 Songbird Celebration is an annual FREE festival for bird lovers of all ages celebrating the return of migratory songbirds and recognizing International Migratory Bird Day. A great outing for families, scouts and other youth groups, you can enjoy bird-related activities throughout the park, including games and crafts, preschool storytimes, bird hikes for adults and kids, learning stations and more! Free online registration is suggested for "early bird" hikes and classes. Scout leaders should call us directly to register troops.